A stunning new style from our Capri and St Tropez range. 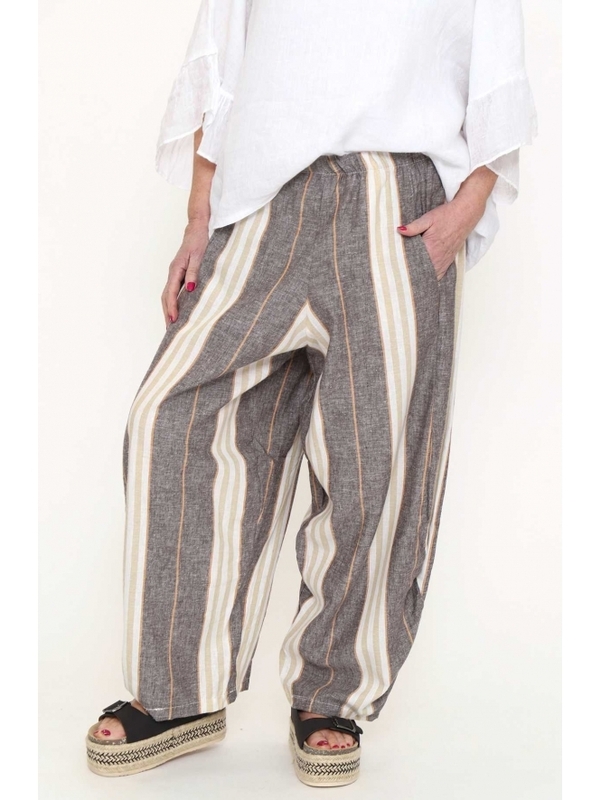 The Made in Italy St Tropez Stripe Trousers feature an elasticate waistband, two pockets to the front and panel detailing to create a flattering shape on the leg. Team with flatforms and a basic tee for a cool and casual spring/summer style.